A recent article in the journal Area, written by Matthew Benwell (2014) discusses the challenges of conducting research on different sides of a socio-political conflict and is based on his fieldwork experiences in Argentina and the Falkland Islands. Recently post-conflict tensions between Britain and Argentina have been highlighted by an incident involving the motoring programme Top Gear. During filming for the programme’s Christmas special in Argentina one of the three cars used was seen to have the number plate H982 FKL. This was believed by many Argentinians to be a distasteful reference to the 1982 Falklands conflict (BBC News, 2014). However a spokesperson for the BBC denied that the number plate was chosen deliberately and that it was “…a very unfortunate coincidence.” (BBC News, 2014). The programme’s film crew were forced to flee the country by protesters who threw stones at the car involved and at the film crew’s vehicles. Whilst this incident is unlike anything that might happen during fieldwork it shows that there are underlying tensions in fieldwork spaces which may remain many years after a conflict. In particular when the person present, be they motoring journalist or academic researcher, identifies with a nationality previously involved in said conflict. The tensions which this incident revealed are well known to British researcher Benwell, who found that his being from the UK raised suspicions with some Argentinian participants however largely they were curious about his presence in remote Argentina where being British was seen as ‘exotic’ (p167). Benwell (p164) argues that those working in areas of socio-political conflict or with post-conflict tensions should think more self-reflexively about their nationality and the performativity of this in the field. 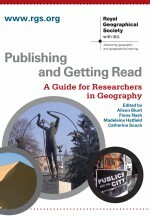 As geographers we should think about our positionality in the field and think reflexively about factors such as, “class, gender, ‘race’, sexuality, ableness, age and education, whether we are a parent or not” (Skelton, 2001: 89). Yet often, as Benwell (p164) argues, we do not think about our nationality as one such factor. Furthermore Benwell argues that as geographer’s we understand that national identity is dynamic and can be performed differently depending on a range of factors and influences, in his case these were gender, age and class. Nationality is performed relationally rather than being predetermined (p167). In actuality Benwell’s positionality as a British researcher did not lead to conflict in the field although he notes that it may have restricted him as participants spoke variously of following a certain official line in answering his questions (p165). Participants had a chance to give Argentine arguments about the sovereignty dispute to a British researcher with an ultimately British audience. Furthermore Benwell’s ability to speak Argentinian Spanish (p167) was helpful in gaining the trust and confidence of participants. Whilst this article provides a detailed reading of how performing nationality can play out in the post-conflict field it also acts as a call for more methodological writing on nationality as a part of researcher positionality, particularly in geopolitical research contexts. 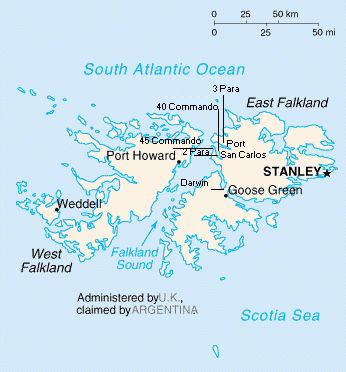 This entry was posted in Area and tagged Falkland Islands, National Identity, nationality, performativity, Post-Conflict, qualitative methodologies on October 14, 2014 by willandrews91. 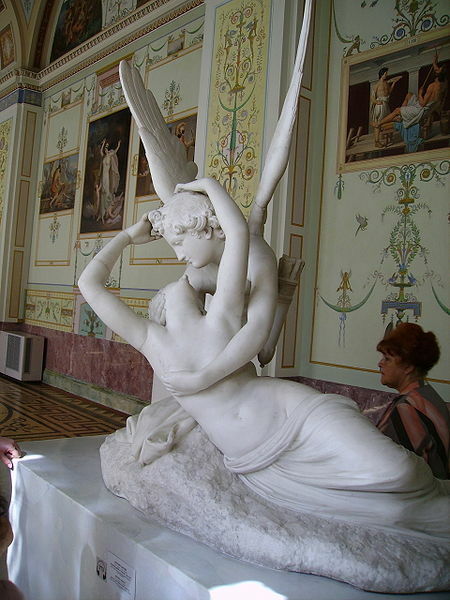 Cupid’s Kiss, created by Antonio Canova. This time of year is associated with love and fertility and it is today, 14 February, that Saint Valentine’s Day is celebrated in honour of a martyred Christian priest in Rome. While Saint Valentine may refer just to this one priest, it is uncertain whether the first St Valentine’s Day in 496 was really honouring one or two others as well. Much uncertainty surrounds the origins of this occasion. The legacy however, continues to develop around the world. Valentine’s Day is celebrated beyond western culture and new practices have emerged. In Japan and South Korea, for example, 14 March is known as White Day, on which men are supposed to thank those who remembered them in February, by giving white chocolate or marshmallows. In Korea, 14 April is marked by a gathering of less fortunate men who did not receive gifts, in order to eat black noodles topped with a black sauce. With today’s emphasis on love, it seems appropriate to present Morrison’s current paper in Area, which unpacks everyday geographies of heterosexual love in the home. While Morrison illustrates empirical spaces of love (situated in Hamilton, New Zealand), her paper is predominantly methodological and analyses the role of the solicited diary as a research tool. The style of these diaries differs to unsolicited personal writings in the way that they are produced by participants for the purpose of research and public consumption. Solicited diaries, it is argued here, elicit valuable insight to sensuous geographies around a subject matter that can be difficult to discuss through more standard researcher/participant relations. The paper provides critical insight for employing this method and ultimately aims to persuade readers “interested in the emotional and embodied dimensions of everyday life to consider using solicited diaries in their next research project” (p.74). This entry was posted in Uncategorized and tagged Cultural Geography, embodied and emotional geographies, heterosexuality, Love and home, qualitative methodologies, solicited diaries on February 14, 2012 by fionaferbrache.